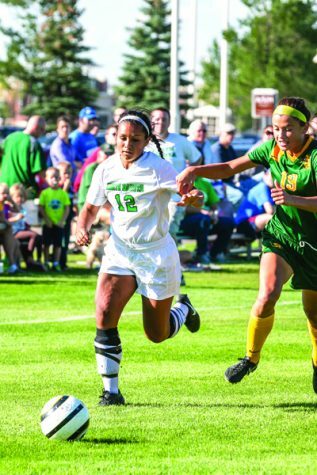 The UND Women’s soccer team got off to a record breaking start to the 2018 season. 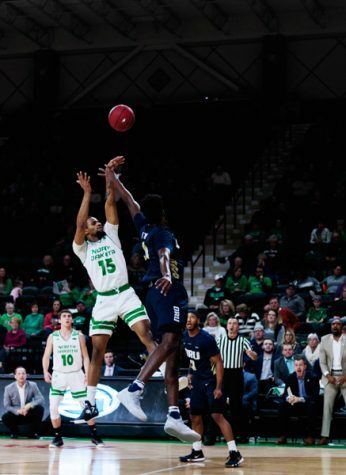 After a tough stretch in the schedule, they’ve seemingly slowed down a little bit, but a big matchup on Sunday against Purdue Fort Wayne would give them a chance to get back on track. 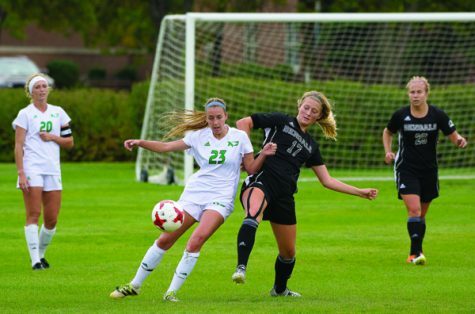 The Fighting Hawks got off to an impressive 8-2-1 start behind Senior Katie Moller’s stellar play. UND would then enter into that aforementioned tough stretch in the schedule where they would face North Dakota State, Omaha and Denver. First, against NDSU, they lost 2-1 despite getting in the scoring column first. Then, they would head to Omaha for the first game of their two game road trip. Against a less than impressive Omaha team, UND would come away with a tie. The final score was 1-1 after the game went to two overtimes. 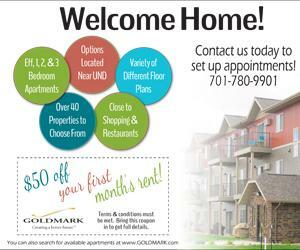 After their game at Omaha, they headed to Denver to take on an extremely talented Denver team. Despite a solid effort from UND, the squad would lose in a nailbiter with a final score of 1-0. Heading into Sunday’s matchup with Purdue Fort Wayne, UND had an overall record of 8-4-2 with a conference record of 2-2-1. This would prove to be a critical game for UND and their chances of building upon their record breaking start to the season. 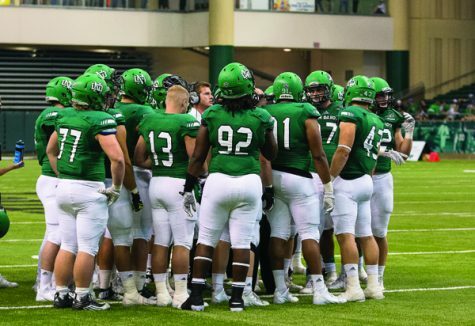 The Fighting Hawks would step up to the challenge in a major way. It took UND less than 10 minutes to put points up on the board. The first goal was scored by Olivia Knox (her fourth goal of the season) and was assisted by Katie Moller. Once UND scored the first goal of the game, the floodgates were opened. UND would end up scoring 4 total goals in the first half. The second one, like the first, was scored by Olivia Knox and the next two were scored by Katie Moller and Veronica Kessler. 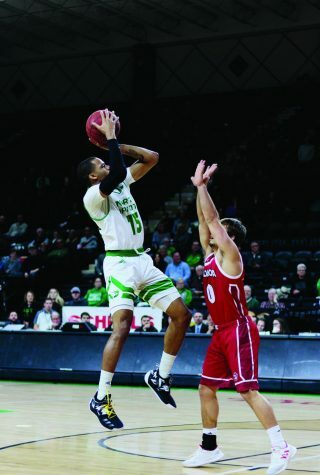 UND definitely asserted their dominance in the first half. With a score of 4-0, a 15-4 shot differential, and a 4-1 corner kick differential, it was clear that Purdue Fort Wayne was no match for the Fighting Hawks. The onslaught would only continue in the second half. UND’s Katie Moller would score 3 straight goals to open up the second half (all 3 were scored before the 64th minute). Purdue Fort Wayne would score 1 goal before time expired, though, as Deanna Hecht found the back of the net in the 88th minute. Katie Moller ended the game with 4 goals and 1 assist. She now has 14 goals and 33 total points which puts her in first place in the Summit League in both categories by quite a wide margin. 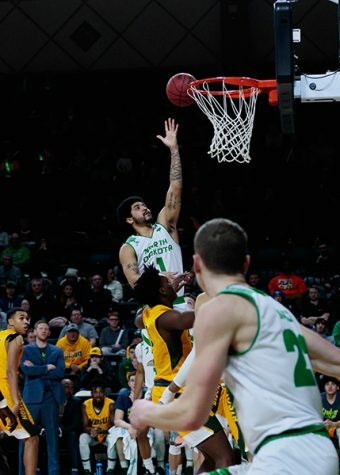 The next closest player in the Summit League for points has 18. Even if the player in second place scored a hat trick in her next 3 games, she still wouldn’t be in the lead for points. It looks like Moller will run away with the points title for the Summit League – another accomplishment for her impressive resume. 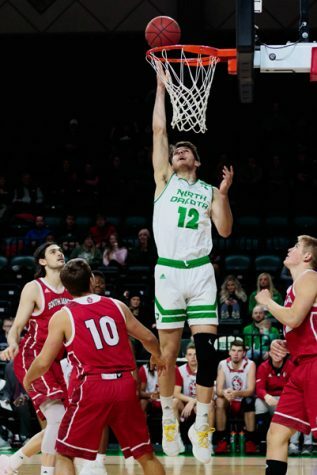 UND will take on the first place team in the Summit League, South Dakota State, on October 26 as the Fighting Hawks look to build upon their statement win over Purdue Fort Wayne.